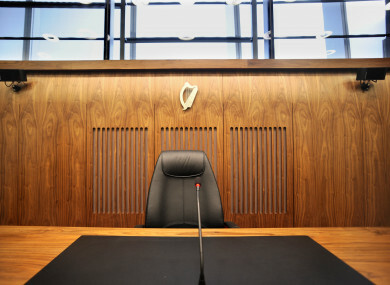 The Dublin father-of-two received a partially suspended sentence. A DUBLIN FATHER-OF-TWO who slashed an artery in his own hand while stabbing a man in the stomach has received a partially suspended sentence. Dublin Circuit Criminal Court heard Ryan McLoughlin (23) followed Scott Byrne over a dual carriageway and attacked him from behind with a knife. Garda Paul McAuley said McLoughlin ran back across the road after the attack and met up with a group of his friends, who phoned emergency services after seeing him covered in blood. Byrne was in Tallaght Hospital receiving treatment for his stab wounds when he saw his assailant being wheeled in on a trolley with his injured hand. McLoughlin, of Westpark Estate, Tallaght, pleaded guilty on his trial date at Dublin Circuit Criminal Court to assaulting Byrne causing him harm at Tallaght Bypass on 26 May 2013. His previous convictions include two drugs offences and road traffic matters. Judge Martina Baxter sentenced McLoughlin to three years’ imprisonment, but suspended the final 12 months on condition that he follow all directions from the probation service for a period of 12 months and that he disassociate from “negative peers”. Marie Torrens BL, prosecuting, told Judge Baxter at the sentence hearing last July that there had been delays in the matter coming to court through “nobody’s fault”. Garda McAuley said the injured party had been on a night out with friends and went off to get food by himself after leaving a nightclub in Tallaght. He encountered a group of youths, a scuffle ensued and he followed them a short distance, believing one of them had taken his watch. Byrne left to return to his own friends, but McLoughlin followed him and stabbed him in the buttock and stomach. The garda said McLoughlin did “huge damage” to his own left hand in the attack. Torrens handed up a victim impact statement and medical report to Judge Baxter. Neither were read out in court. McAuley told Torrens that McLoughlin’s answers about the incident during interview were “self-serving”. He agreed with Kieran Kelly BL, defending, that his client was 17 years old and intoxicated at the time. The garda told Judge Baxter that McLoughlin led him to believe he was the injured party when he spoke to the youth on the night. McAuley said McLoughlin was “not forthcoming with any other information other than (saying) ‘I was stabbed’” and he didn’t say there was another person injured. McAuley said McLoughlin told him in an interview that he has ADHD and “can go off the rails when he gets angry”. Kelly submitted to the judge that his client had a lot of intoxicants in his system on that occasion. Counsel said education had been difficult for McLoughlin and he hadn’t engaged with school. Judge Baxter said McLoughlin had the option of walking away but he chose to follow the injured party while “full of alcohol and bravado, no doubt”. She said it was “a grave act to use a knife, not once but twice”. She said the mitigating factors in the case were his youth at the time of the offence, his young family, his plea of guilty and the fact that he sustained an injury himself during the incident. Email “Man who slashed artery in his own hand while stabbing man is jailed ”. Feedback on “Man who slashed artery in his own hand while stabbing man is jailed ”.